The bands on the December 16th bird are not entirely clear, but the bands appear to be green over blue (?) on the right tarsi and light blue or green over red on the left tarsi – but clearly there is room for interpretation! While the images are almost as dreadful, it seems that the December 19th bird may be J0426, banded on May 25th, 2008…or perhaps J0051, banded on April 6th, 2012. 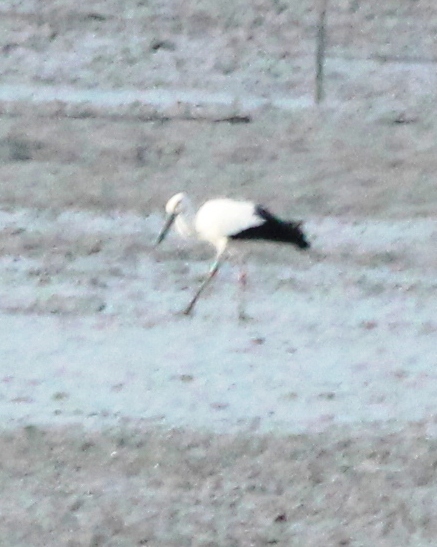 A banded Oriental Stork photographed by Johan Kok in Ulsan on September 8th is not specifically identifiable using this link, but it does appear to be ‘related’ to the birds banded in 2012-2013 (several other birds were banded with black over blue on the right tarsi during this period) – perhaps it was banded after 2013? A request for further updated information on where these birds were banded has been made on the Kantori group. I’m sure the bird banders will be happy to know their birds have be re-sighted in Korea. 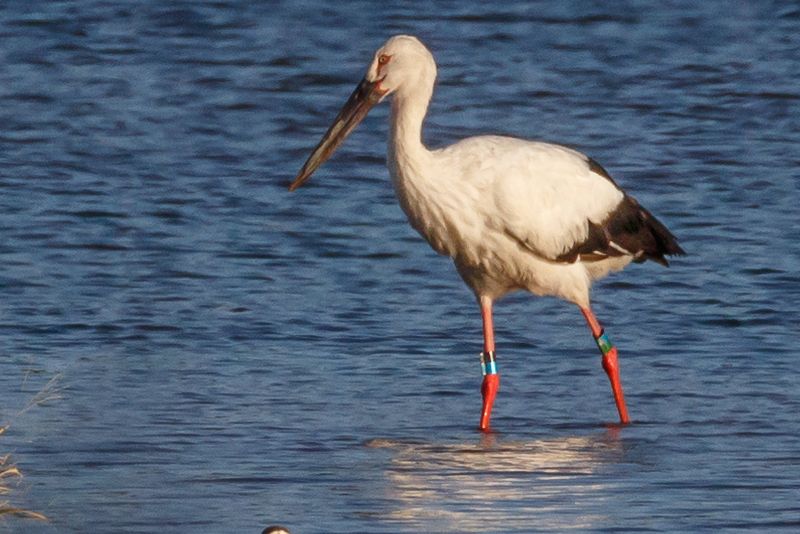 On the subject of banded Oriental Storks in Korea, apparently 30 pairs of captively-bred Oriental Stork were released in the spring of 2015 by The Eco Institute for Oriental Storks, based in Chungwon. 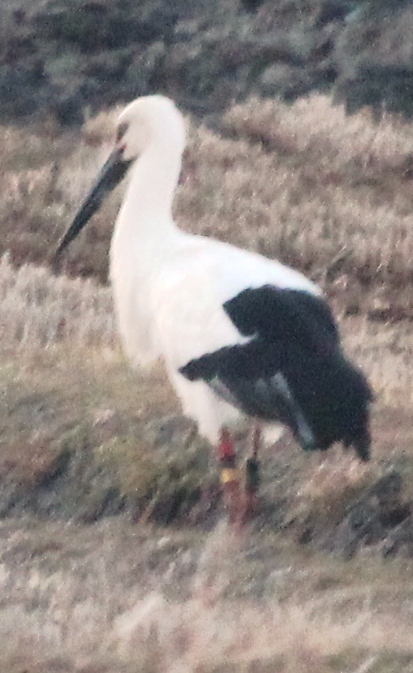 Does anyone know of a website featuring accurate information on these Korean-banded Oriental Storks? J0426 Born on May 25, 2008 Male, Flew away on July 28, 2008, banded at Miki Banding Station. J0051 Born on April 6, 2012, Female, Flew away on June 11, 2012 Banded at Artificial Nest, Izu-Area. I hope the above meets your interest. 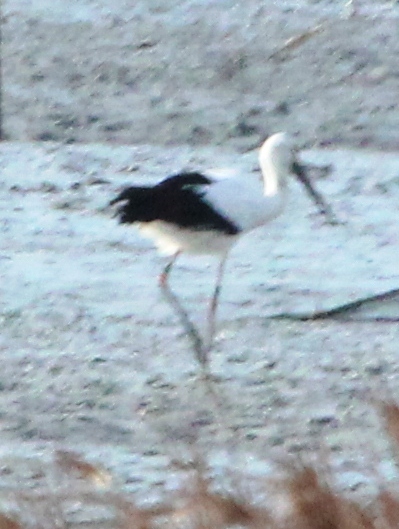 Thank you for information of the banded storks in South Korea from you. storks including the wild-bred ones for identification. movements of the two individuals. banding scheme is similar to ours. Dr. Kiyoaki OZAKI and me.